Google Inc. says, each month recorded an average one billion YouTube users, who access and share videos through social networking. That amount equals nearly one of every Internet user to be YouTube users. “If YouTube likened the country, then we become the third largest after China and India,” wrote YouTube in a reuters blog. The expansion of high-speed data networks around the world and increasing the ability of internet devices-such as Smartphones, has been helping billions of people connected through the internet and rekindle the growth of social networking and video pages. Facebook in September noted active users reach one billion, a global pressures are challenging to sustainable growth. YouTube and Facebook takes eight years to embrace the one billion users worldwide. YouTube gets a sudden success after it was founded by three former PayPal employees in 2005 by adding millions of users in the first year. Google bought it for $ 1.65 billion dollars in 2006. Video site now represents one of Google’s key opportunities to generate new revenue sources beyond traditional advertising business. Music videos such as “Gangnam Style” from Psy’s, South Korea singer donated the explosion of YouTube visitors. It’s video has so far been watched 1.45 billion visitors, according to Reuters. Tens of thousands of partners have created channels and build business through YouTube, 100 world famous brands and have been campaigning products through YouTube. 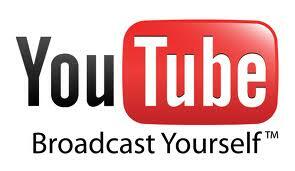 Related to "YouTube Claims the Visitors Reaches 1 Billion Per Month"